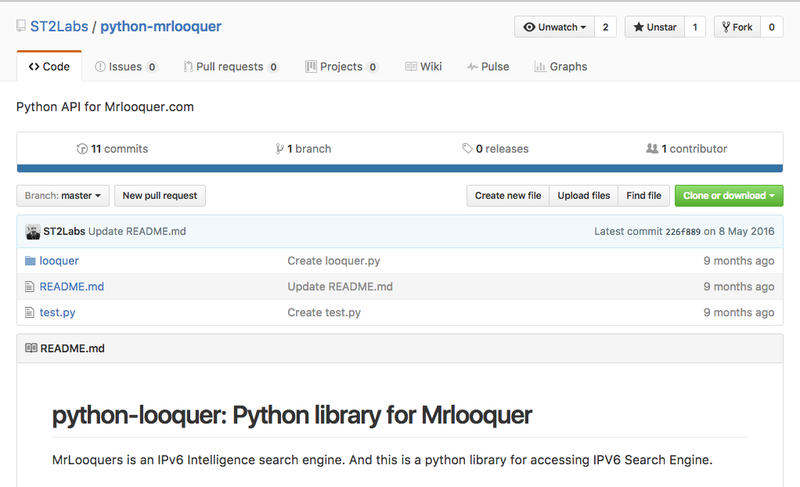 MrLooquer is an IPv6 Intelligence search engine. 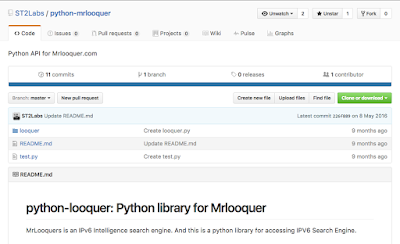 And this is a python library for accessing IPV6 Search Engine. Active/passive network scanner and autonomous vulnerability assessment application.